We are thrilled to be able to announce the arrival of Pineapple Grove scented soakwash to the Soak family here at The Little Knitting Company (aka Woolly World HQ). Head over here to be amongst the very first in the UK to get your mitts on this fresh new fragrance "sparkling top notes of sweet orange that are fused with the soothing floral scent of lilies", available in full size 375ml (12oz) and travel size 90ml (3oz) bottles. 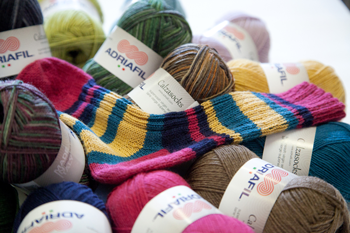 In response to numerous requests please welcome calzasocks - a very affordable machine washable sock yarn from Adriafil. We have recently added a selection of solid and variegated colours together with seven printed patterns. Add a set of our 5in sock needles (DPNs) and you're away! Delighted to announce the addition of 7.5mm (UK1) needles in 12in (30cm), 14in (35cm) and 16in (40cm) lengths to our extensive range of rosewood knitting needles. Also, in our blond hardwood, Subabul, 8in (20cm) long in 3.25mm, 4mm, 4.5mm and 5mm. Much requested and finally here. Our range of 10in (25.5cm) long rosewood DPNs, from 2.75mm to 10mm. Gorgeous Tibetan Cloud (100% Tibetan Yak), Handspun Cashmere (100% Mongolian Cashmere) and a fabulous new Merino and Soy blend called Sunset from Lotus Yarns. From Juniper Moon Farm there is super squishy Herriot (100% Alpaca), Finldley DK and Findley Dappled (50% merino/50% silk) and Zooey (60% cotton/40% linen). Finally, from Ella Rae, the much asked for Superwash Classic Heathers. The perfect cover up over a party dress at any time of year. This gorgeous bolero knitting kit, designed for us by Amanda Jones using our Camelot superfine kid mohair blend (a fabulous and affordable alternative to KSH) is available in a choice of eight shades including the White as shown here, from size 32in to 46in bust. If you are here searching for presents for the knitter in your life. Relax. Your search is over. We have knitting kits, beautiful Luxury Knitters Hampers, gorgeous knitting and sock needles and must have accessories. 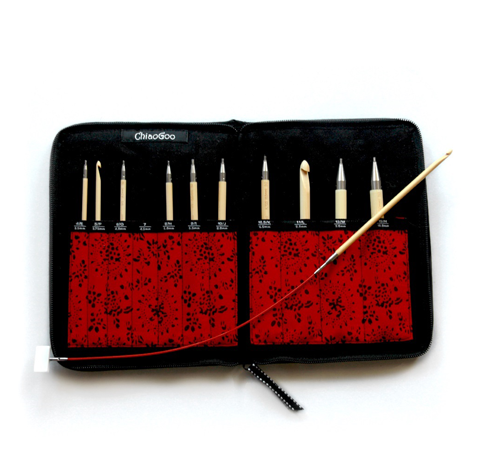 Alternatively, you could select from our wide range of wool and yarn with a pair of co-ordinating needles. Often, we knitters like to choose our own projects so perhaps a Gift Voucher might be the way forward?